We are mourning the loss of our dear friend, JD Robinson. JD played an integral part in the music and dance community at the Folk School for decades. He taught music classes in a wide variety of instruments, engaged students at morningsong with songs and tales of fire safety, played for contra dances, led jams, and was involved in Winter Dance Week. JD also kept the community of Brasstown safe as the Fire Chief of the Brasstown Volunteer Fire Department. Always a phone call away, he always came to help whenever there was an emergency at the Folk School. He will be greatly missed. Folks gathered at the Festival Barn on Saturday, August 22, 2015 at 1 p.m. for a celebration of the life of JD. There was a procession, an official Firefighter’s Last Call, potluck meal & music. The Brasstown Fire Department and many others brought JD’s ashes to the Barn. David Kaynor wrote a beautiful tune in JD’s memory. Click here to listen to the tune. JD in the Music Studio / Playing a song at Brasstown Follies. 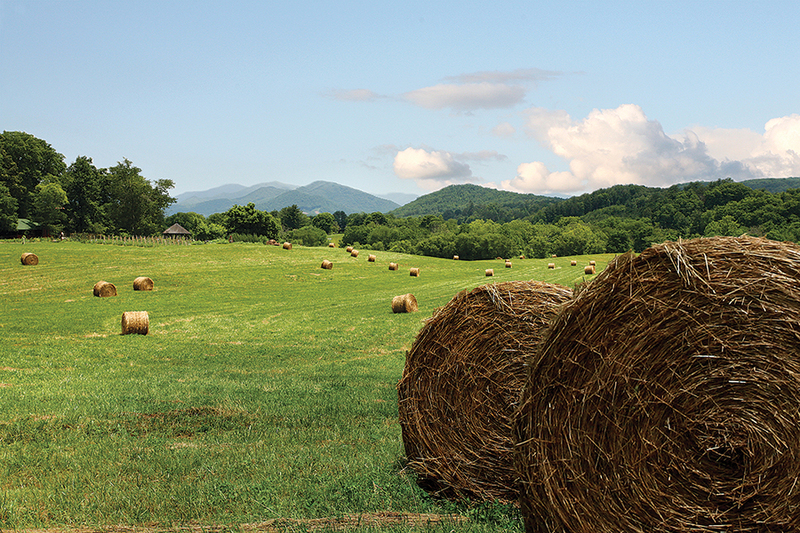 Brasstown roadtrip! 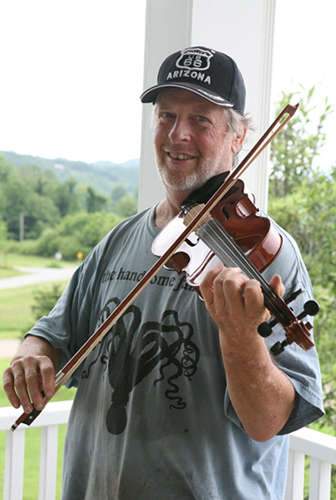 JD played for many contra dances at the Folk School and in the region. 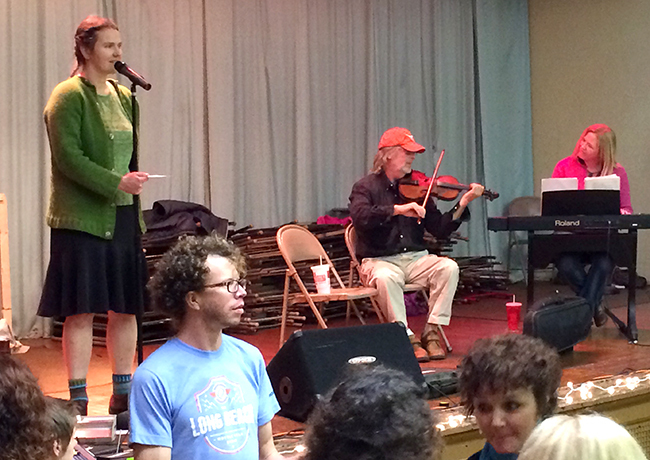 Here he is playing fiddle at a dance in Chattanooga. Charlotte is calling & Dianna is on piano. Playing Morningsong / Rehearsing with the Pressley sisters at Clay’s Corner. I recently discovered that a man who was instrumental in giving my son a gift in high school had passed away. Several years ago, J.D. 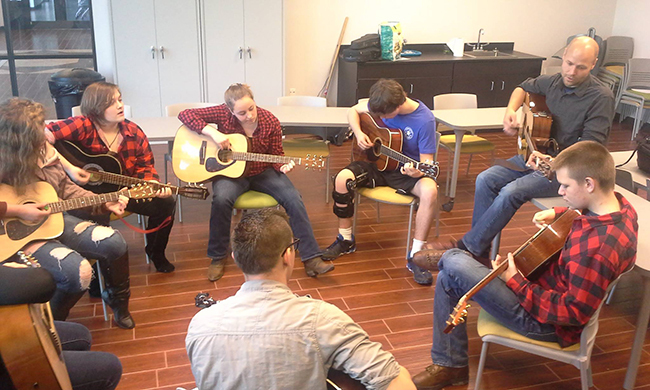 was invited to teach music to a group of students at Hiwassee Dam High School through a grant intended to bring the “arts” to rural areas. J.D. was able to bring out the musical talents my son had waiting to be discovered. I have always been thankful for this man. Rest in Peace sir. I remember long philosophical chats with JD in 1993 and a thread of friendship and laughter that lasted till the last. He was a valued friend. JD was a musical genius and a consummate character. He taught me many a tune when we played together at the Georgia Mountain Fair, and I will long remember his original compositions, such as “The Blizzard of ’92”. Much missed! So sorry to hear that J.D. is gone. I had his intermediate banjo and beginning fiddle courses. He had a unique entertaining style of teaching, knew a lot of music theory, and was a gifted performer. I’ll miss seeing you again, J.D. His celebration was when? Either the month or the year is incorrect. Sorry for the loss; he sounds like such a good friend to all. Thanks for catching that! I fixed it. His memorial was August 22, not September 22. I met JD in early April this year. JD was part of the small orchestra that played for the musical, “Spitfire Grill” at the Peacock Theater. This was my first musical. Hannah Ferguson, the character I played, was a tough singing role. He was so encouraging and helpful. I am thankful that I had the opportunity to meet him and work with him. 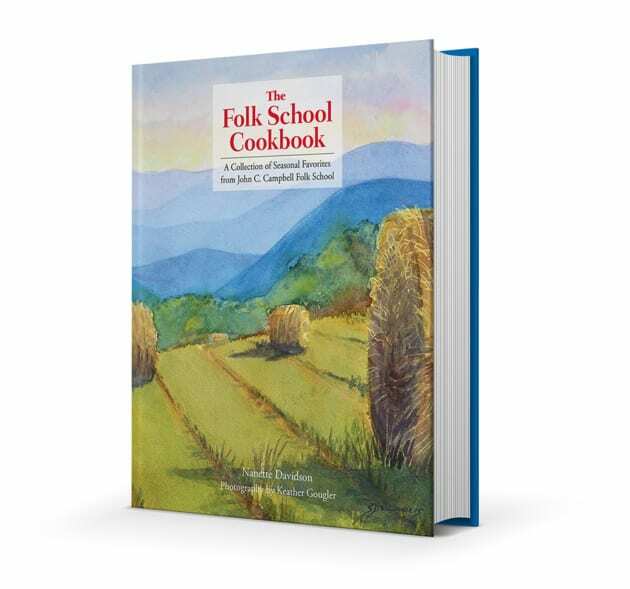 I knew JD during my extended stay at the Folk School and in Brasstown between 1999-2001. My brightest memories of JD are of him singing “You Are My Sunshine” and of him training me to be the fire truck inspector. Safe travels to the other side, JD. JD will be missed at Georgia Mountain Fairgrounds! 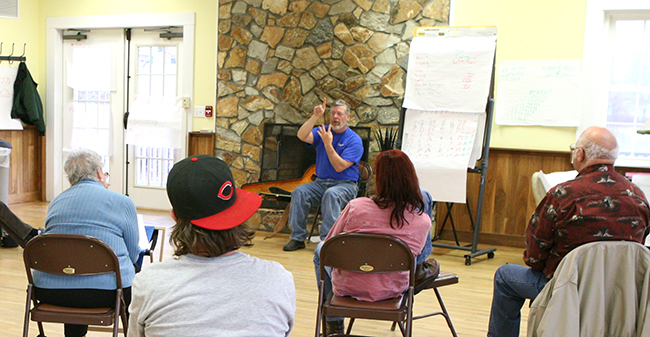 I only knew JD through his morning song sessions, but he was clearly a compassionate, talented man committed to making a difference at the folk school and in the community of Brasstown. I will miss him, as will many others. I dearly loved hearing JD at morning song telling about the “great turtle release” and the many other absolutely unique stories. He had such a relaxed story telling style that I never knew what to believe and what was just a yarn he made up as he went along. I finally decided that they were real but that his youth was just so different from anything I had ever known that it was truly a glimpse into a life of a whole different region. He was a truly caring person as shown in his story about the little boy who got left in the fire and he always admonished us to have a family fire emergency plan. Somehow he stood out from the crowd in a very quiet way and stuck in my mind. I HATE to think of him being gone from this earth. He was still young and so talented.